Logging related stories on this site. Residents and activists defending old forests at Toolangi (VIC). 2012.
biomass power plant planned for New South Wales far south coast. 2010. From the ABC. This stream provides water to the Glen Wills Mountain Retreat. A logging coupe is planned on the ridge immediately above. Out beyond the Bogong High Plains, and about a 45 minute drive north of Omeo is the lovely valley of Glen Wills. This small community is increasingly gaining a reputation as a place where low impact eco tourism provides a reliable income for locals. From ski touring and walking on the High Plains to rafting on the Mitta Mitta and a range of other activities, Glen Valley is a real oasis. We are currently working with some local land owners and tourism operators to get a number of logging coupes removed from the cutting schedule. This is partly because there will be considerable visual impacts along a section of the Alpine Walking Track (the major trail that goes from Walhalla to Canberra) and also because there are plans to harvest directly above the water supply of the Glen Wills Mountain Retreat. Please check below for details on a letter you can send to the Minister for Climate Change and Environment, Gavin Jennings. I am writing to you concerning proposed logging coupes in the Glen Wills valley north of Omeo. 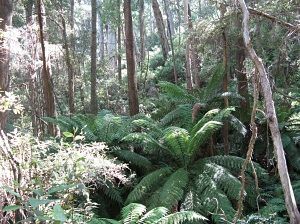 These are situated upslope of, and about 200 metres from the water supply of the Glen Wills Mountain Retreat. It can be expected that given the steepness of the slope (up to 30%) that there will be substantial inflow of silt into the stream and less water available – especially in summer – as re-growth develops. In addition, these coupes are likely to be highly visible from the Australian Alps Walking Track, on the section between Glen Wills and Mount Wills South. 684-515-0001, which is on the opposite side of the valley. This coupe is similar to 12-684-511-01, which was withdrawn from the harvest schedule in November 1999 because of concerns raised by a number of individuals and user groups. Apart from significant visual impacts for people living in or staying in Glen Wills, the coupe runs along the edge of the Australian Alps Walking Track. Our understanding is that generally an attempt is made to minimise visual impacts on this well known trail. An additional concern expressed by locals about these coupes relates to the widespread infestation of English Broom. It seems likely that clear fell logging in areas where broom is gaining a real stronghold will facilitate the further spread of this highly invasive species given its ability to act as an early coloniser after disturbance. I write to urge you to remove the coupes identified above from the timber plan for the area. This is yet another example of the cavalier attitude to catchment management shown by this government. Just when the management of catchments needs to be firmly directed to “Water First” for the sake of the rivers and adequate domestic supplies of water, these coupes are slated to be logged. It is the same in the Baw Baws including the Thompson River catchment on the north and west.